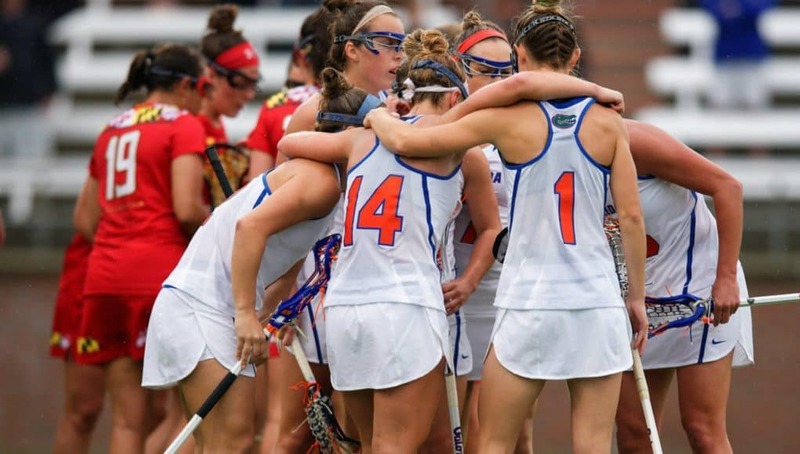 GAINESVILLE, Fla. – The Florida Gators’ lacrosse team will begin the 2019 season ranked sixth in the Intercollegiate Women’s Lacrosse Coaches Association poll, as announced Monday. The 2019 season marks the ninth time the Gators have been ranked in the IWLCA Preseason poll and the seventh time the squad has ranked within the top six. 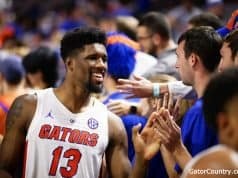 Florida opens the season with No. 17 Colorado on Feb. 9 in Boulder, Colo. 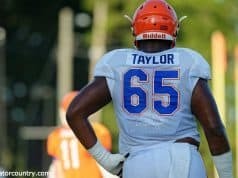 The Gators will then face seven more ranked teams during the 2019 season: No. T-2 Maryland, No. T-2 North Carolina, No. 5 Stony Brook, No. 8 Princeton, No. 9 Loyola, No. 13 Navy and No. 15 Syracuse. 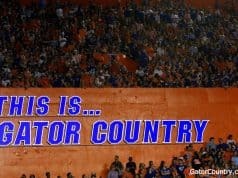 The Gators were also ranked No. 4 in the USLacrosse Preseason rankings<https://urldefense.proofpoint.com/v2/url?u=https-3A__www.uslaxmagazine.com_college_women_bc-2Dranked-2Dno-2D1-2Din-2Dnike-2Dus-2Dlacrosse-2Ddivision-2Di-2Dwomen-25E2-2580-2599s-2Dpreseason-2Dtop-2D20&d=DwIFAg&c=pZJPUDQ3SB9JplYbifm4nt2lEVG5pWx2KikqINpWlZM&r=6MG06PG_fwpe7ULfewi6NrFR2j_4ngNZtgGHhDCeRY0&m=j0xBOLrZAAW0Fs6K413aPGDzkwb0TOiRVq3IqAsAmJE&s=Be3Gf1CE6lMpwTy1ywxqRh6VHE1MQH8JzFK-9zKgSfE&e=> and were selected to win the first AAC Women’s Lacrosse Championship<https://urldefense.proofpoint.com/v2/url?u=https-3A__floridagators.com_news_2019_1_24_lacrosse-2Dgators-2Dtabbed-2Dfirst-2Din-2Daac-2Dpreseason-2Dpoll.aspx-3Fpath-3Dlacrosse&d=DwIFAg&c=pZJPUDQ3SB9JplYbifm4nt2lEVG5pWx2KikqINpWlZM&r=6MG06PG_fwpe7ULfewi6NrFR2j_4ngNZtgGHhDCeRY0&m=j0xBOLrZAAW0Fs6K413aPGDzkwb0TOiRVq3IqAsAmJE&s=yuXczfFiKY1pFbEj5lYIwmqbHP1mKuTYyrASHzo_-TI&e=> last week. Sabrina Cristodero, Grace Haus, Haley Hicklen, Shannon Kavanagh, Sydney Pirreca, Lindsey Ronbeck and Cara Trombetta all earned Preseason All-Conference Team accolades as well. Florida swept the major AAC Preseason awards as well with Ronbeck (Attacker of the Year), Pirreca (Midfielder of the Year), Trombetta (Defender of the Year) and Hicklen (Goalkeeper of the Year) all receiving accolades. Last season, Florida went 17-4 overall and 9-0 in the BIG EAST to win the program’s eighth-straight conference title and four-straight BIG EAST title. The Gators went on to earn the No. 6 seed in the NCAA Tournament and went to the team’s first NCAA Quarterfinal since 2014.